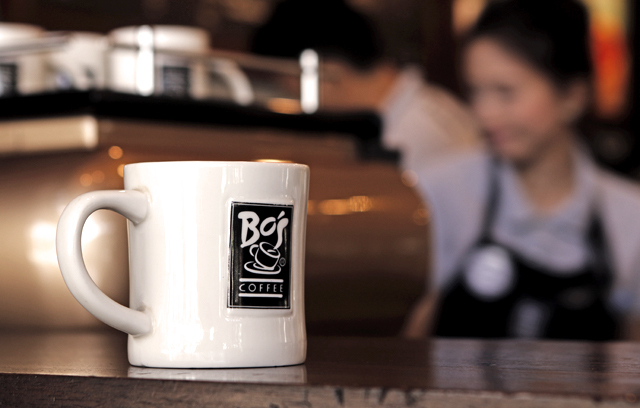 In an industry filled with large international franchises, Bo’s Coffee stands out by serving locally crafted brews. For the past 20 years, founder Steve Benitez has built his brand up from a coffee cart in Cebu to a network of 100 stores nationwide. His hard work has been recognized abroad as he was selected as a high-impact entrepreneur by global non-profit organization Endeavor, which puts the spotlight on business owners that have scalable businesses and profound influence on their business community. Before opening his first store, Benitez studied the coffee shop business for two years. He traveled abroad to see how the market was doing in other countries as the idea of a coffee shop in the Philippines was unheard of back then. It was in this research period that he got the idea for the name — he met and was inspired by an American coffee roaster named Bo in a coffee expo in the US. Benitez recalls how the biggest factor in his decision to push through with the business was when he attended a food show in Singapore. He saw several coffee shops along Orchard Road, and their customers were drinking hot coffee under the Singapore sun. With the concept being a hit in a tropical country like Singapore, Benitez decided to bring it to the Philippines. Or rather, believe in your business even if no one else would. Benitez had two business partners when he started the company, but both backed out before he opened the first store. Like some of his family and friends, his partners doubted that a coffee shop business in the Philippines was going to work. What kept Benitez going amidst the naysayers? “I believed in the concept,” he said simply. From his research he knew that the industry was picking up abroad, so he wanted to be in the game when it hit the Philippine market. 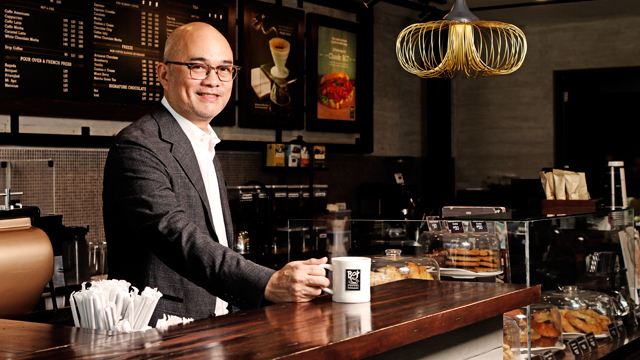 A year after he opened the first Bo’s Coffee store, Starbucks entered the Philippine market, starting a trend of international chains setting up local shops. But instead of being discouraged, Benitez saw it as an opportunity to up his game. “I felt challenged in making sure that a Filipino brand stands up on its own and coexists with these (foreign) brands,” he says. And this Filipino quality is what Benitez used to carve out a niche in the market, positioning Bo’s Coffee as the “homegrown brew”. The Filipino branding can also be seen in each store’s interior design and each barista’s uniform, which are all built and produced locally. “I really am a sucker for learning,” adds Benitez. That was his biggest takeaway in becoming one of Endeavor’s high-impact entrepreneurs — he succeeded after learning from his first attempt. Benitez had gone through Endeavor’s selection process in 2015 but was told by the panel to come back after improving the systems behind his business model. Instead of falling victim to pride and dejection like other applicants, Benitez took their comments to heart and reworked his business processes, allowing him to be successful when he came back a year later. The entrepreneur assesses himself and his business every five years and transforms accordingly. It was this perseverance in transforming himself that allowed him to take the business out of Cebu, weather the financial crisis, raise funds through investors and become the country’s biggest local coffee chain. “It’s a transformation all the time for entrepreneurs,” he says.